As my youngest takes a much-needed nap, I feel compelled to lay next to him for a while. With each passing day, a phase of our lives as parents to newborns-toddlers-preschoolers wanes and, for all the excitement of what lies ahead, there is also a sadness of letting go of the chaos with all its imperfect beauty. …so one weekend morning, I wanted to run out and get some ingredients to make a nice big breakfast but I needed to ensure Michele Lynn Sequeira could stay sleeping since she worked the evening shift the night before. How to prevent the kids from coming in and waking her up? A honey-trap! 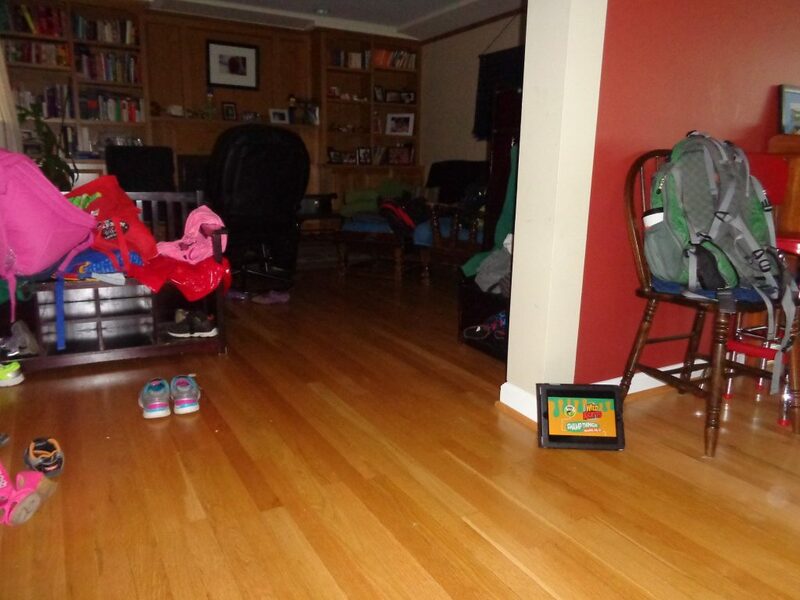 In Photo 1, a kid’s eye view coming into Mommy-Daddy’s room, you will note the placement of the iPad in the lower right corner, already playing PBS Kids very quietly. By Photo 2, the first wild Sequeirlet has been caught. 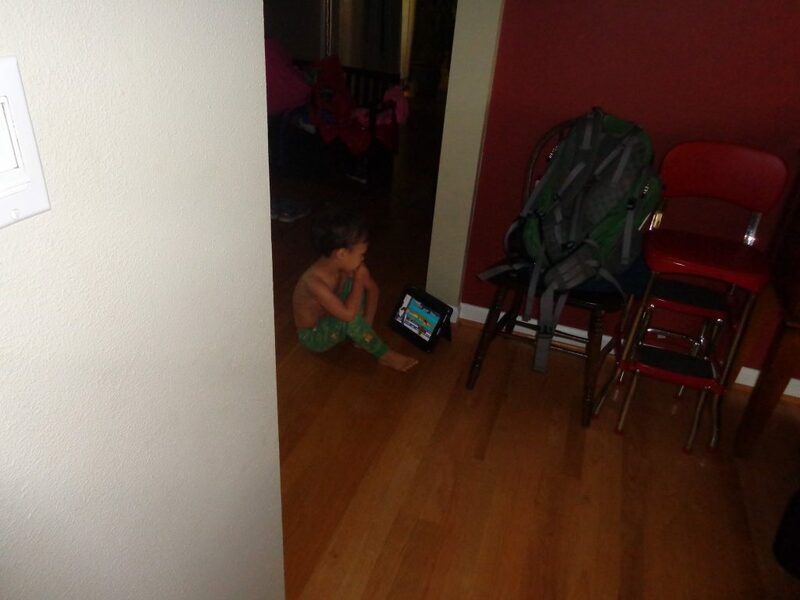 On his way to jump on Mommy, he runs by at first, then slowly backs up and plops down in front of the screen, helplessly caught. The first wild Sequeirlet has been caught. By the time I got home from the store, all three Sequeirlets were sitting right in that spot, unmoved, unblinking, while Mama slept peacefully just a room away.